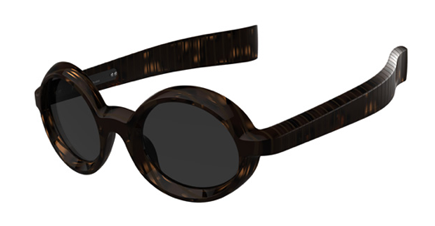 Ron Arad's eye wear line is called pq and I am captured by the brand identity at first instance and thereafter fall in love with Corbs which I think my muse Iris Apfel find this line amusing and palatable. The website styling, illustration and experience is very nicely done! Love these accessories for their structural and sculptural feel. But I like their site more - it's full of cheesy but funny animated graphics. They are FAUXreal. Each new year I will put together a new book list for the year to come and Designing for Emotion which just launched last October 2011 gets a space in my list. It's a book on website design written by Aaron Walter who is the User Experience Lead at MailChimp. An excerpt of the book explains much better than anything I write. "A Brief History of Personality in Design. We have a history of injecting personality into the things we make, in a bid to make mechanical things more human. When Johannes Gutenberg—goldsmith and father of the printing press—experimented with movable type in the mid-fifteenth century, the human hand inspired him. Before the printing press, scribes—usually monks—painstakingly penned each page of religious manuscripts by hand with quill and ink. Transcribing a bible was a sacred duty, as the scribe was thought to be channeling a divine message. For this reason, the hand’s presence in these manuscripts has great spiritual importance." I hope you would also compile your reading list as reading is still one of the most mind-changing platform to feel inspired! Happy reading in year 2012! This speaks our mind! When we will never forgot how bad the IE 6 limited our interactive projects. Microsoft knows how many hours of our life have been wasted trying to troubleshoot designs and functionality for Internet Explorer 6, and they’re sorry. They promised they’re not going to do that to you again. The company has announced there will be IE Automatic Upgrades for Windows XP,Vista, and Windows 7 platform. Good news or bad news to developers and enterprise, I am yet to be convinced. But for us, a creative agency. We are always happy to see improvements and better capability of web browser, so that we can set our creativity free! We're excited to hear that our friends over at Slow and Steady Wins the Race presents its new e-commerce store, a visual online thesaurus offering ideas that are timely and timeless. Here is where you can find what they are working on from inception to evolution. Please visit them often for new things and thoughts. A very interesting study by AptiQuant, a psychometrics consulting company, has recently published a study drawing the connection between a user's choice of internet browser and their IQ. "The results are really not that surprising. With just a look at the graphs in the report, it comes out pretty clear that Internet Explorer users scored lower than average on the IQ tests. Chrome, Firefox and Safari users had just a teeny bit higher than average IQ scores. [...] The continuous use of older versions of IE by millions of people around the world has often haunted web developers. This trend not only makes their job tougher, but has also pulled back innovation by at least a decade." Can someone point us to the gullible sign? That being said, bits of the prank remain true: developing sites to be compatible with all ancestral versions of IE is cumbersome. Bugger. Thank you Sarah, for the tip. We are grateful to have helped Dim Sum & Then Some redesign the website bringing it to a fresh new phase with enhanced features. Dim Sum & Then Some has been one of the top online guides for luxury lifestyle in Hong Kong and around Asia. 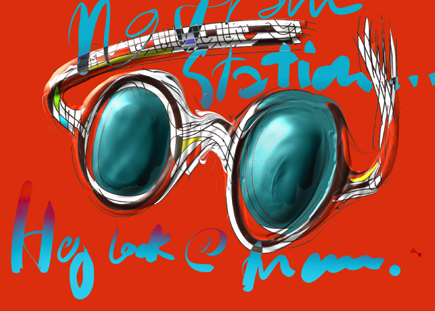 Check out our design and 'get sum more'. Lovely proposal for Diptyque website from Paris graphic duo Mathilde Aubier and Christine Delaquaize of Ma+Chr. These screens look far more interesting and original than what's on the fragrance brand's actual site. In 18 hours, this hipster-driven site will be launching on the National Day. At the Water Taxi Beach in Long Island City, one party will be celebrating the birth of Seen, another lifestyle portal! Let's see if it's worth seeing later on. Whitespace currently launches a newly designed website for HITCHED! bridal wear, which carries some loveliest designer couture gowns and dresses for all the brides-to-be. Read about this boutique in UK Vogue and thought the website, designed by ISH, deserves a mention for its artful mix of collage and commerce. Wolf and Badger stocks some lesser known labels but all very quirky and creative out of their shop at 46 Ledbury Road, Notting Hill, London. We're looking for talented people to join our web development team. Enquire within! The Bread Art Project, aims to feed America with grains through donations of artwork. For every submission, the projects gets $1 and over 5,800 are displayed on the website's gallery walls. Developed by Feeding America, and the Grain Foods Foundation, we think this is a great little idea. Get creative with your slice and support a wholesome cause. In celebration of The Press Room's second anniversary, Whitespace was invited to hold an exhibit of Premiere Issues. On display from November 22nd to December 22nd, we are jointly hosting a little cocktail reception to celebrate this exhibit on December 11th. If you are in the neighbourhood, please drop by for a drink and light bites on Hollywood Road, from 6-8pm! In 2002, designer Danielle Huthart decided to display her collection of 1st edition magazines by creating an online catalogue. What started as a personal project quickly grew into a extensive magazine archive thanks to readers looking for more information, other collectors or contributors wanting to help the growth of the Premiere Issues. Premiere Issues relaunched with the help of Whitespace in August 2008 with a brand new website, a more flexible platform for public submissions and comments, as well as the ability to search and sort through the archives. Now six years since its start, with over 180 magazines from over 10 countries, the library has developed into a visual reference of stylistic covers as well as a source of inspiration. The key statements or letters from editors featured in numerous launch issues provide insight into the times in which the publications were created. Some gems in the online collection include such notable magazines as Communication Arts (1959), Ray Gun (1992), A Magazine (2001) Blaze (1988) and V (1999). Other smaller independent magazines such as Me, Faesthetic and Monster Children have all grown in readership and style. Through this exhibition, both Premiere Issues and The Press Room hope to delight guests and the public with a rare display of interesting and often amusing vintage publications. Cipher goes live! We help the brand with the illest sneakers get off the ground with their identity and website. With both mens and womens sizes, the shoes are available online and in select stores worldwide this month. Whitespace launches a newly designed website for What's Next, a Hong Kong-based public relations and events agency focused on lovely luxurious clients! We're into these quaint and quirky, collage-heavy, flash-loving fashion sites built by Matthew Siskin of designedmemory, including Sons & Daughters, Chris Benz and Aux Armes. Discovered by way of NY Times T Magazine. Furniture power-house Vitra recently launched a lovely new site, designed by London-based studio de-construct.